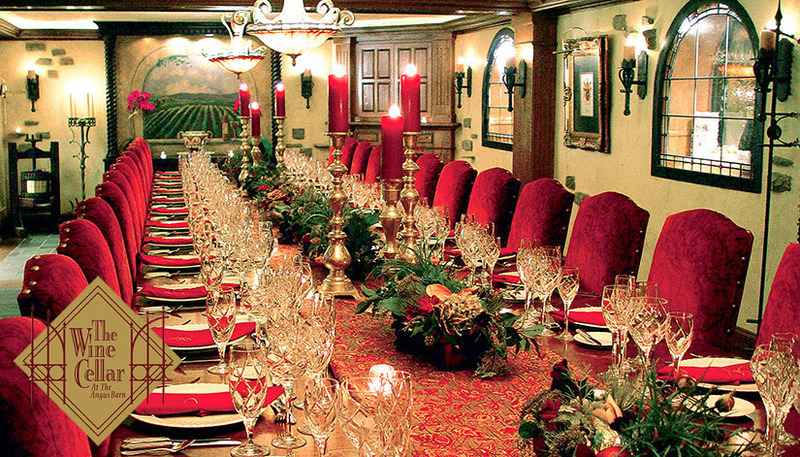 As you descend the winding staircase leading to the wine cellar dining rooms, glancing at each of the prestigious 20 Wine Spectator Magazine Grand Awards, you begin to feel Thad Eure’s celebrated hospitality. This is no ordinary hallway and staircase! Laborers used hand shovels, carefully removing earth for weeks to complete this magnificent structure. It took an extraordinary visionary to lay the foundation for such future grandeur. The wine cellar boasts its' own private staff, kitchen, two large dining rooms each with its own full service bar and surrounded by one of the most amazing wine collections in the United States. Truly an unforgettable fine dining experience. For more information complete the form below or call Nicole Harvey at 919.987.1270.